"LAST DAYS ON MARS" A DR.WHO'S EPISODE RIPOFF? The "Last Days on Mars" has many youtubers crying foul. Is this movie too similar to the BBC's 2009 episode of Dr. Who's Waters of Mars? I've not seen the episode, but from the trailer I say it's pretty darn close. However, I'll reserve judgement until I've seen both. As we know, movie "twins" are not a phenomenon in Hollywood. Hell, if the cells sale they could split up multiple times leaving us with a nursery full of look-alikes! So calm down youtubers this could just be a case of mistaken identity––or not! I'll let you be the judge; is this film a clone or are we being paranoid? 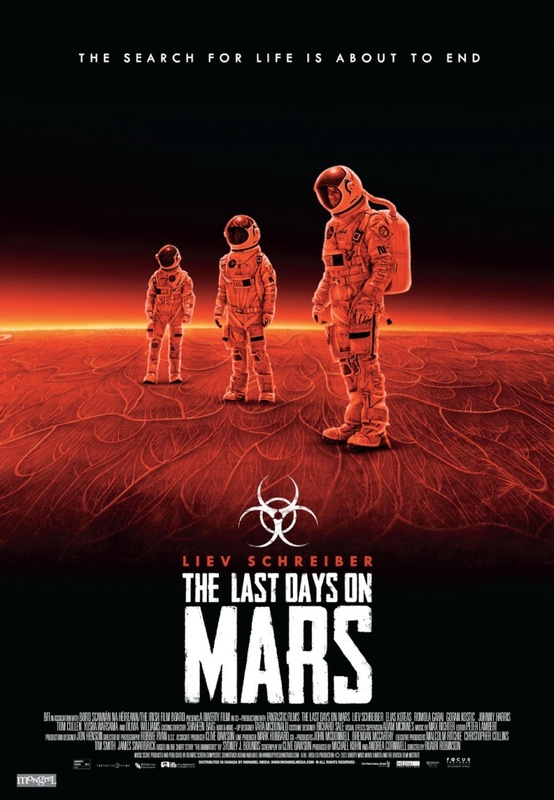 Last Days on Mars is about a group of astronaut explorers who succumb one by one to a mysterious and terrifying force while collecting specimens on Mars. (Sounds original ) Cast includes Liev Schreiber, Romola Garai and Elias Koteas.